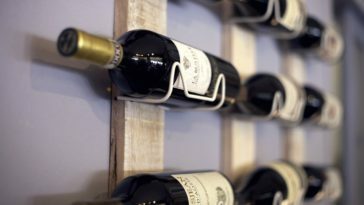 Drinking wine is a hobby, an art, and an obsession for some. 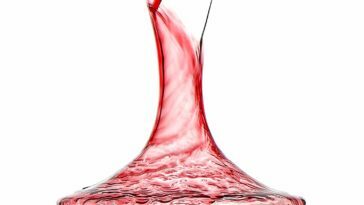 There’s more to savoring wine than just pouring it in the cup. Finding the perfect wine and the food to pair with it is all part of the fun. 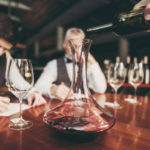 Whether you’re a wine connoisseur or you want to create the right experience for the customers at your restaurant, you also need the right accessories. 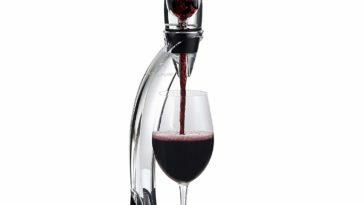 The most important accessory for wine is the glass, but most wine glasses are either fancy but impractical or functional but not attractive. To get the best of both worlds, use unbreakable wine glasses. These glasses have different appearances but are all tough and perfect for entertaining. In comparison to delicate glassware, unbreakable wine glasses are so strong because they aren’t made of crystal or glass. These types of glassware are typically made of plastic or acrylic material. Plastic wine glasses? If you’re imagining a clunky, awkward monstrosity, there’s no need to worry. This is not a case of brawn before beauty. Designers also take into account the aesthetic appeal of this sturdier glassware. Unbreakable wine glasses run the gamut of simplistic to more ornate styles, and some glasses are suited for everyday use while others are better for special occasions. Is it breakable or not? 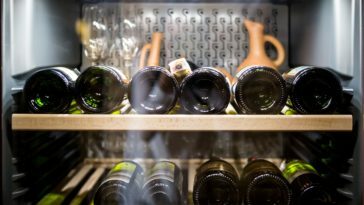 When looking for unbreakable wine glasses, make sure what you’re searching for is really unbreakable and not just break resistant. 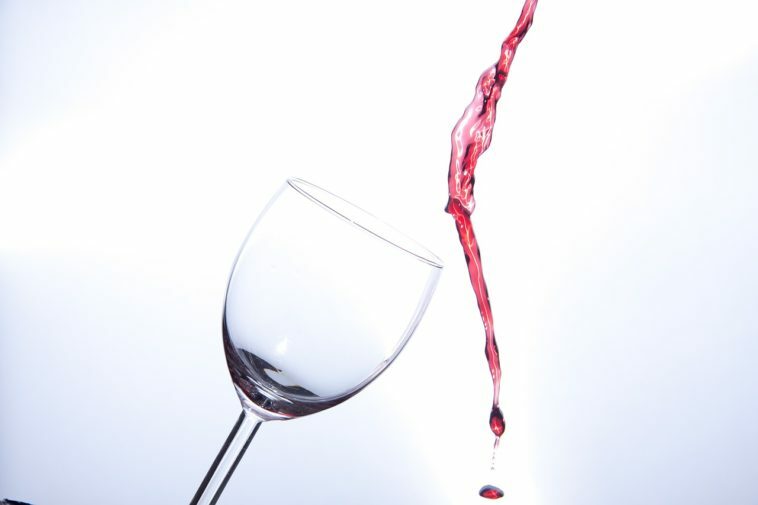 Break resistant wine glasses are often made of a composite of crystal and something stronger so that shattering is less likely. However, these glasses can break on hard surfaces and aren’t recommended for outdoor use. The material of a glass can indicate whether it is unbreakable or not. 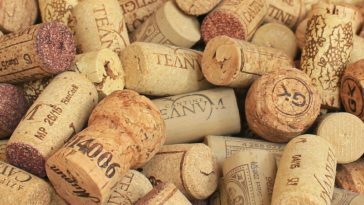 Polymers, silicone, and a special kind of plastic called Tritan are often used for unbreakable wine glasses. Tritan is a popular choice for unbreakable glasses, and this material is produced by the Eastman Chemical Company. Tritan is used for several types of products like water bottles, drinking glasses, and food containers. Here are three affordable unbreakable wine glasses that offer different styles, benefits, and are easy to order. 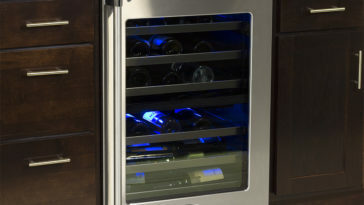 Whether drinking Bordeaux or Chardonnay, the Urbanity set exudes style and functionality. These offerings have the classic look of a wine glass but offer more durability and ease of use by being free of stems. 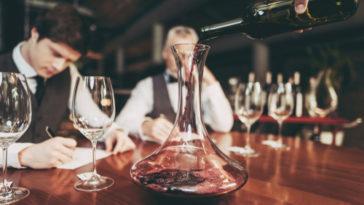 You can sample a rare vintage or pour a large glass of your favorite wine after a long day as they hold more than enough liquid for wine, sangria, or other cocktails. VERSATILE: The Urbanity set shows off the versatility and range of the Tritan material. This means the glasses have a variety of uses beyond drinks. They could also hold dessert, fruit, yogurt, or ice cream. DESIGN: The elegant stemless design provides a chic, sophisticated look right away. These unbreakable wine glasses look like real glass and offer a clear, transparent view so that your favorite white, red, or pink wine will sparkle deliciously. Despite the numerous outdoor uses, these glasses are still elegant enough to use in more formal settings. NO FUSS: When using fine crystal glasses, hand washing is required. 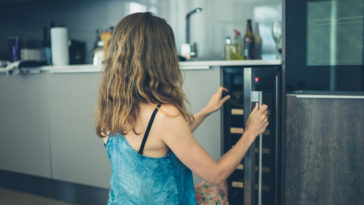 These unbreakable wine glasses can be put in the dishwasher, so you don’t have to go through a lot of effort when getting them clean. The appearance stays the same as the glass doesn’t dent or ding, and marks like smudges and lipstick stains are easily wiped off. 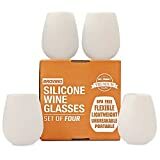 VALUE: Using these glasses for wine is only the start of their abilities as they hold hot liquids without warping and hold cold or frozen beverages without cracking. They can go in the oven, microwave, and freezer and can be used for cooking or serving. TAKE THEM OUTDOORS: While pleasing to the eye, these unbreakable wine glasses do not need to be stowed away with your fine china. The lack of stems means they are harder to knock over and can be used by people of all ages. This set of four unbreakable wine glasses is also from GSM Brands and also offers a great deal of versatility. From weddings to camping trips, the glasses will hold up anywhere. These items resemble the classic of look of tall, slim wine glasses and could also be used for champagne. Despite their appearance, they still hold a high volume of liquid. GREAT FOR GIFTING: This elegant set of four glasses looks lovely and delicate but won’t break. The glasses make a great gift for newlyweds or wine lovers and could be a housewarming present. When gifting these glasses, you can be sure the present is something the recipients will get a lot of use from and will be around for a long time. The set comes in a stylish, specially made box. 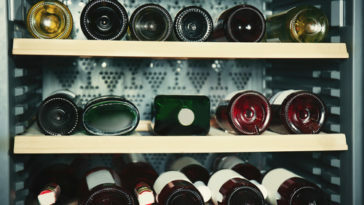 INDOOR OR OUTDOOR USE: There are numerous benefits to unbreakable wine glasses. Versatility is a big part of the appeal as these glasses can be used both indoors and outdoors. Whether you’re having a large gathering or a more intimate meeting, you don’t have to worry about damaging these glasses. This classic set is a great option when you want a classy look but still need to take glasses outside. MADE FROM TRITAN: While being much tougher than glass, Tritan weighs less than glass. The material is made from BPA-free plastic and is dishwasher safe. The clear material also keeps its color and luster after repeated washings. STRONG: Some plastic materials are flexible and can change shape over time, but these glasses remain strong and unbending. Hot and cold temperatures don’t bother them, and the material also protects against dents and chips. FANCY: While being made of plastic, these items look more like glass. This is a great choice for those who need something durable but don’t want to sacrifice appearance for longevity. Moving on to something a little different, the Brovino Unbreakable Outdoor Rubber Wine Cups are made from silicone and are not clear. This set of four white cups is stemless, portable, and offers a more casual, fun appearance. Those who want to use their unbreakable wine glasses in recreational settings might enjoy this option best. 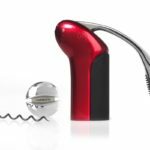 USE THEM ANYWHERE: While you are free to open up a bottle of wine and enjoy it in the comforts of home, these unbreakable wine glasses are designed for portable use. They are easy to transport when going to the beach or on vacation and are convenient options when outdoors and on the go. Since they don’t break, they are great for traveling and easy to pack. The glasses flex and fold so that they can be put into luggage or even one’s pocket. 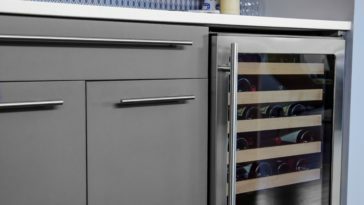 STAIN RESISTANT: Mixing red wine with a white object is generally not a good idea, but these cups are stain resistant and will not become discolored even when used with the darkest of reds. DISHWASHER SAFE: For easy cleaning, these glasses can go in the dishwasher and are made of nonstick silicone. 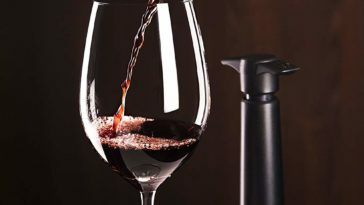 VERSATILE: While made of silicone, these unbreakable wine glasses still have multiple uses like their Tritan counterparts. 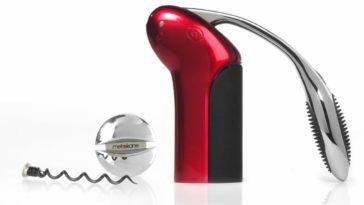 They can hold hot and cold beverages and are not limited to wine. The glasses can serve as tumblers for cocktails and mixed drinks. DURABILITY: This high-grade silicone is meant to be long lasting. Since it is unbreakable, these glasses can go indoors and outdoors without hassle and will still function like new. Different bottles of wine will come and go, but these glasses will still be around. AFFORDABLE: Brovino offers a great price for glasses that are guaranteed to last a lifetime. While coming in a set of four, the affordability of these glasses make it easy to buy in bulk.